A night after some dews from heaven, the weather was not too cold, but it was just right to have a steamboat to warm up my stomach. 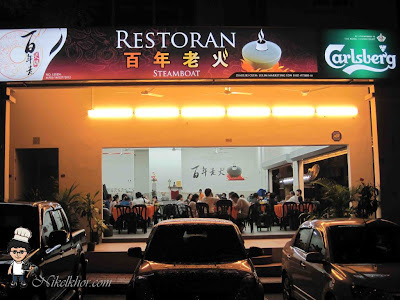 This steamboat restaurant located at Dataran Sunway, Kota Damansara looks attractive by its name. 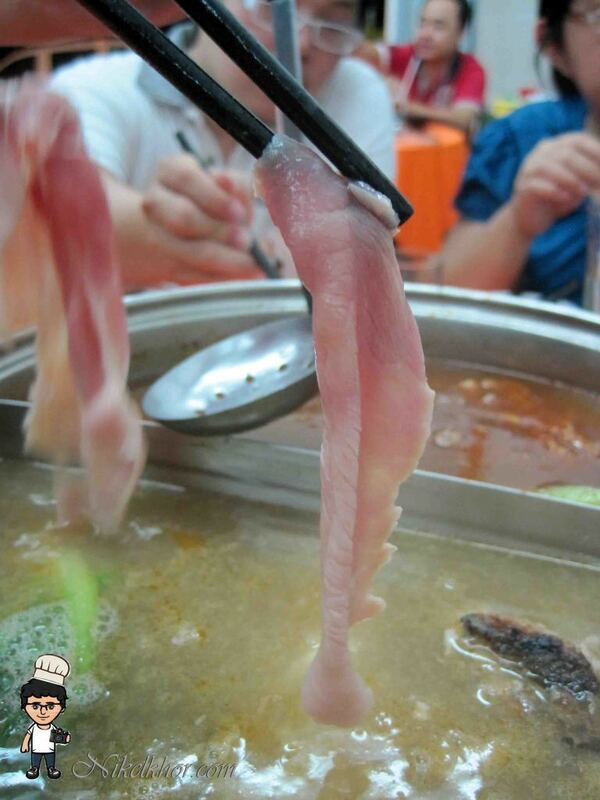 They claimed that their soup for steamboat is boiled for long hours, so the taste is exactly the same as mother's cook. "Bai Nien" means "hundred years", the owner told us that the recipe is inherited from her grandmother's grandmother, which has been passed through around hundred years. 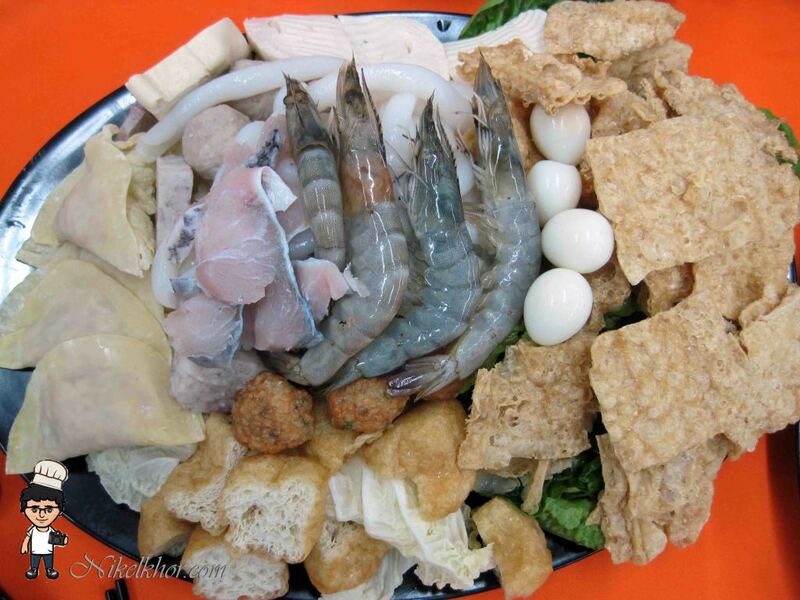 Good flavour is never been forgotten, so they decided to run a steamboat business to share the good taste with public. 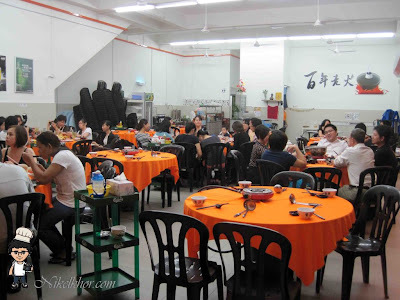 The Steamboat restaurant is quite away from the landmark Sunway Giza, but good food is worth to find I bet. 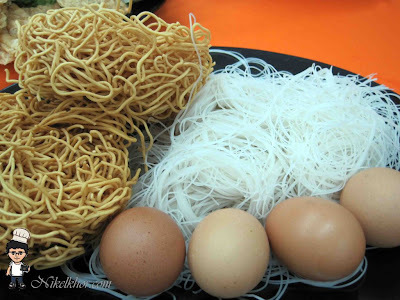 For your convenient, it is located just opposite the famous Chili Pan Mee. Clean and neat set up in the restaurant. Bowls, chopsticks and spoons are well arranged on the dining tables to welcome their customers. Homemade drinks are one of their distinguishing feature. The Pandan Cooler is a very tropical drink, the drink is boiled using pandan leave, and added in mint leaves and basil seeds. 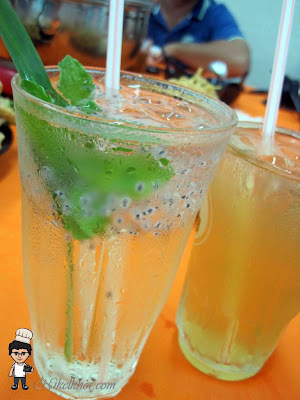 I like the light flavour of the Pandan, and the mint leaves made the drink extra refreshing. The drink behind is home-cooked chrysanthemum drink. 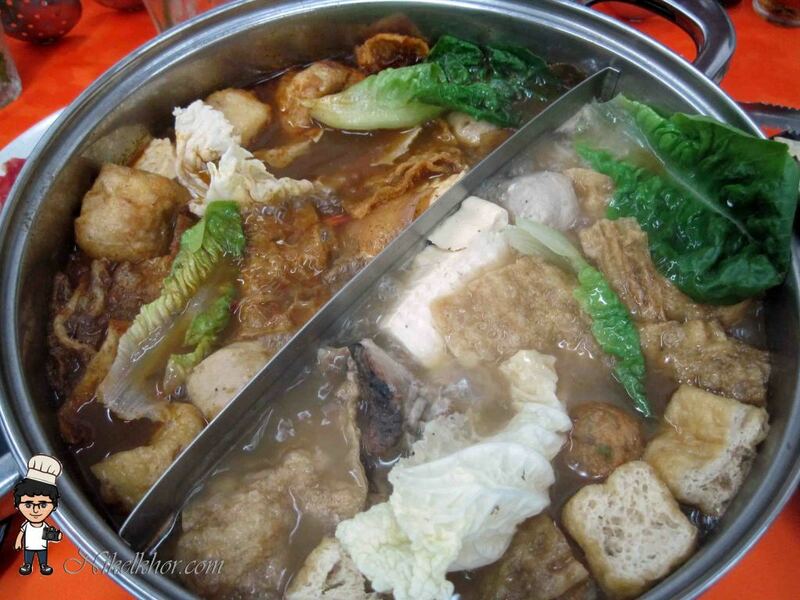 It is nice to have a cold chrysanthemum to go along with steamboat, effectively reduce the heat! 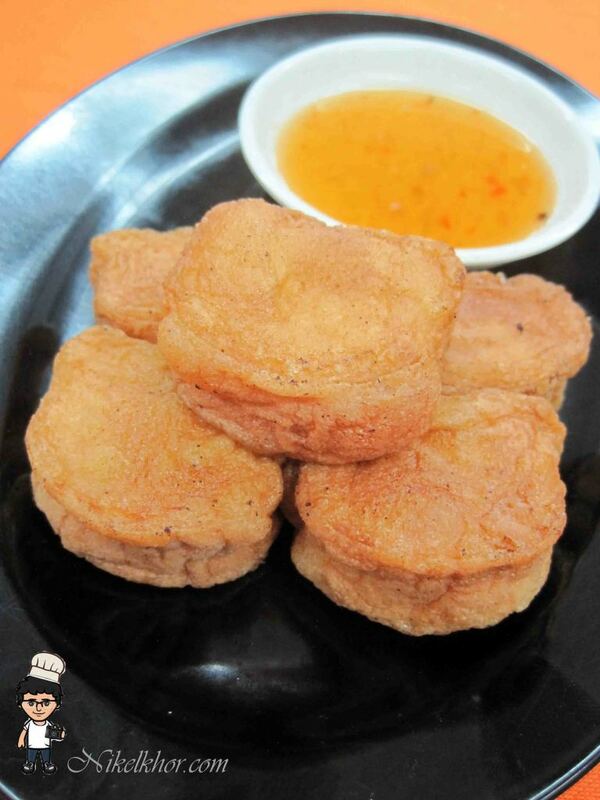 Fermented beancurd fried chicken is one of their signature snacks. Well marinated I would say. 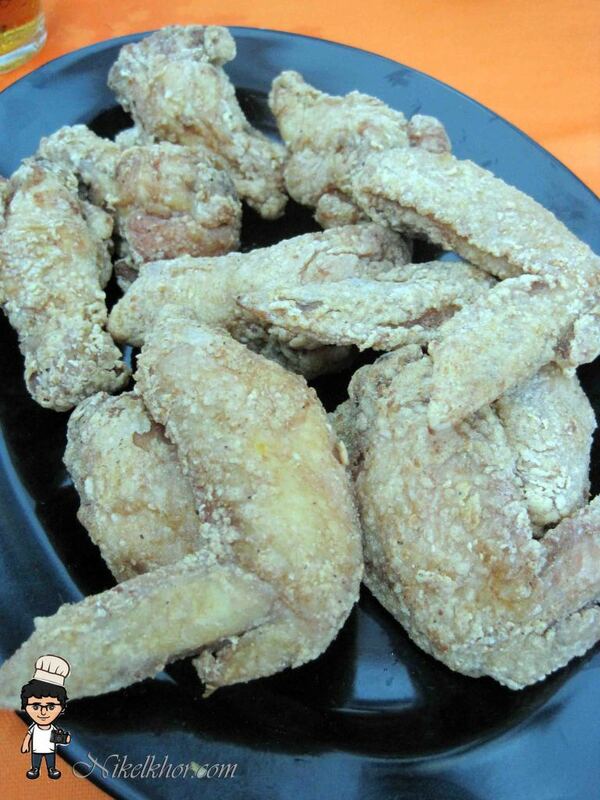 I know it looks pale, but believe me it is very crispy and flavourful, very appetizing. 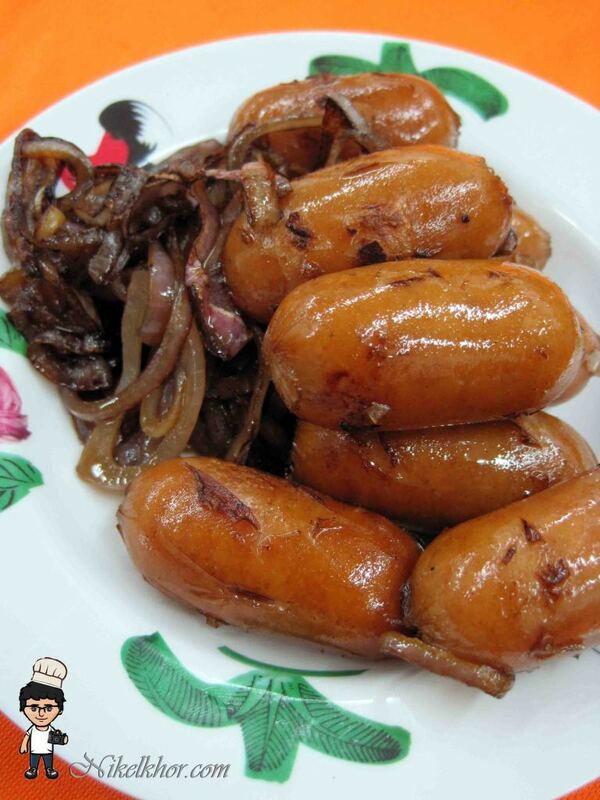 The lala fried meehun is quite good too, the main reason is the very fresh lala I bet, the meehoon which is very absorptive, fully absorbed the flavour from the sea. 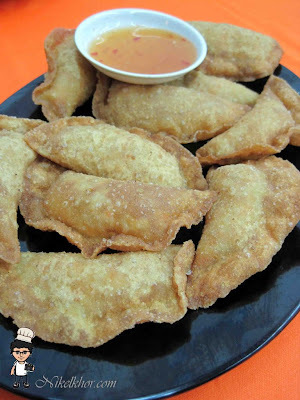 Homemade dumpling is one of their specialties too, deep fried till crispy and the filling is quite excellent too with minced meat and chopped vegetables. Dip into the sweet sauce before eat to make it more delicious. 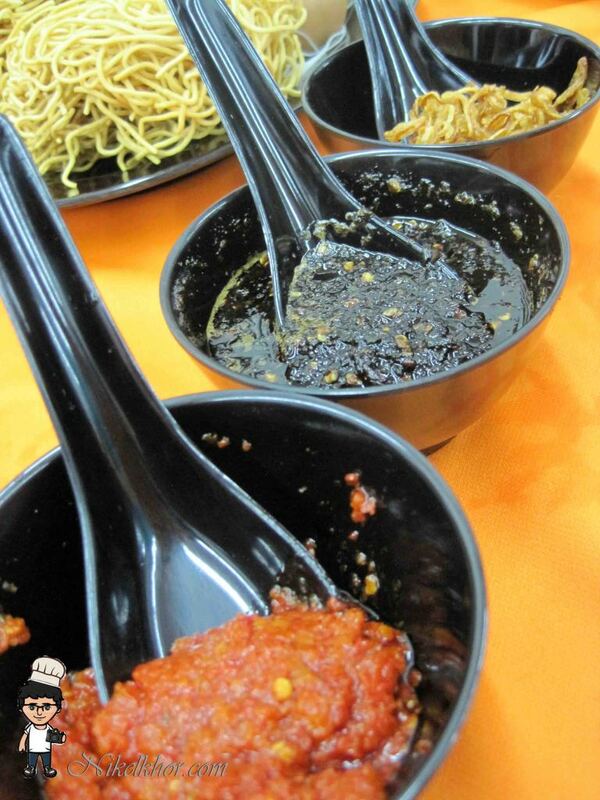 Their special condiments--- Red chilies sauce, black chilies sauce and fried shallots to enhance the aroma of soup. The special black chilies sauce is recommended, it is very common condiment in Johore to eat with steamboat and pisang goreng, made from cili padi and black sweet sauce. Come with a plate of pork sliced or beef sliced, noodles and egg. 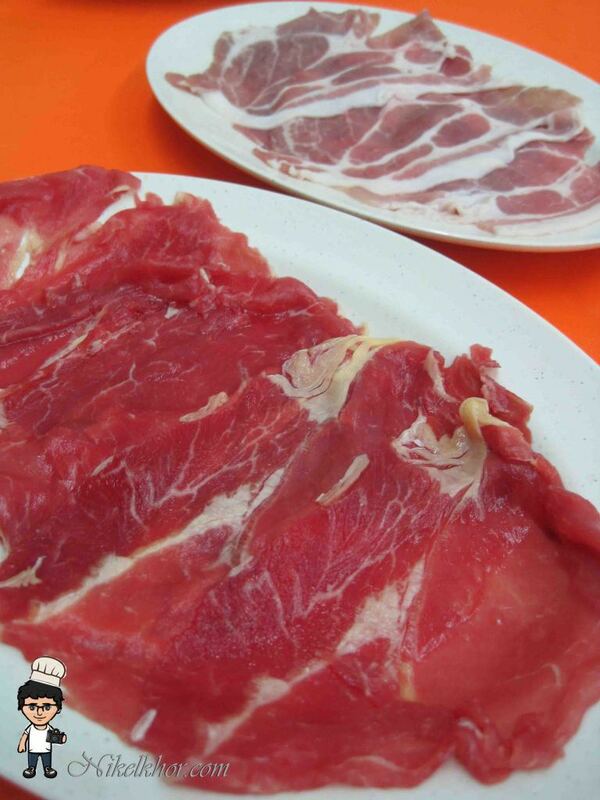 Pork and beef slices cannot be excluded in a good steamboat. Selected high quality and fresh meat slices are used. 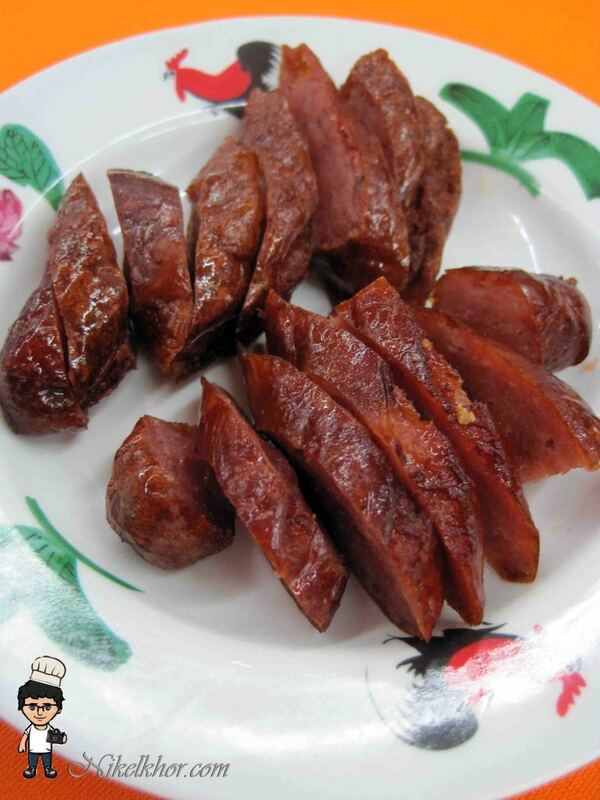 The rich fat of meat is distributed averagely on the meat, makes the meat tasting soft and chewy. 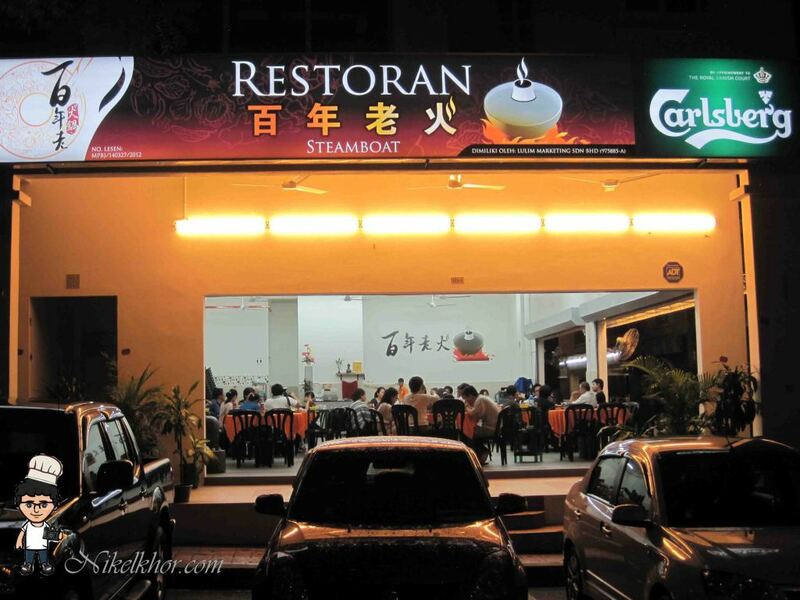 Left side is the tom yam soup based, right side is their signature hotpot soup. Both are equally good. The tom yam is mild and not too spicy, but indeed opens up the flavours with its sourness. The signature hot pot soup suits my liking too, where I can taste the essence and sweetness from pork bones and pork stomach. Good broth kicks a good start for a good steamboat! I am quite satisfied with their homemade concept, the very essential point is that the ingredients used are very fresh! The only flaw is that the selection for seafood is too little, as I am a seafood lover, I will be happier if they increase the types of seafood and raw ingredients. Press the "Like" button and share with your friends if you are interested. ok I'm sold and I'm so near :)) will keep this for another day coz these days it's freaking hot! 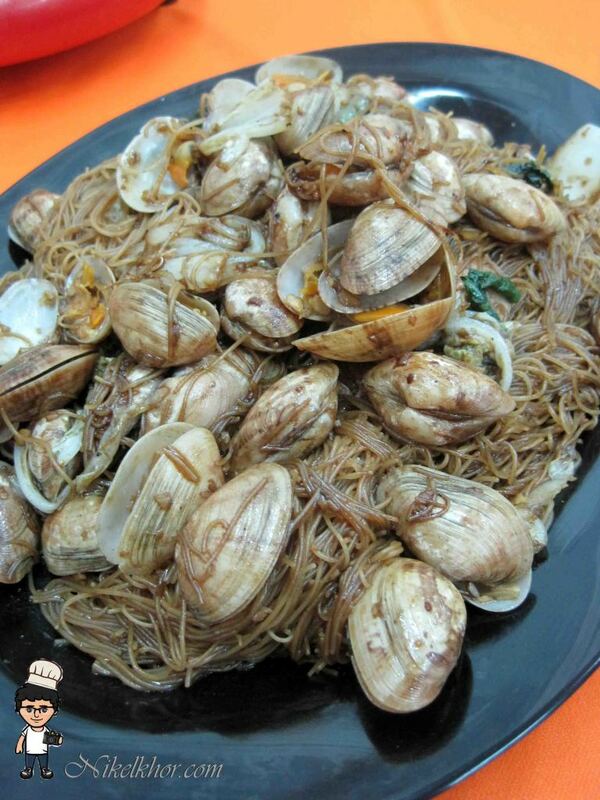 I rather go for a buffet one lo ~ miss having steamboat! RM 30+ / pax is quite expensive but I noticed that the portion was slightly bigger than normal, enough to be shared by 2 person? @choiyen They do actually having a promotion BUY ONE FREE ONE.. but the portion u see above was 4 person portion but sharing among 10 of us.. amazing!